Success, choose how you save time! 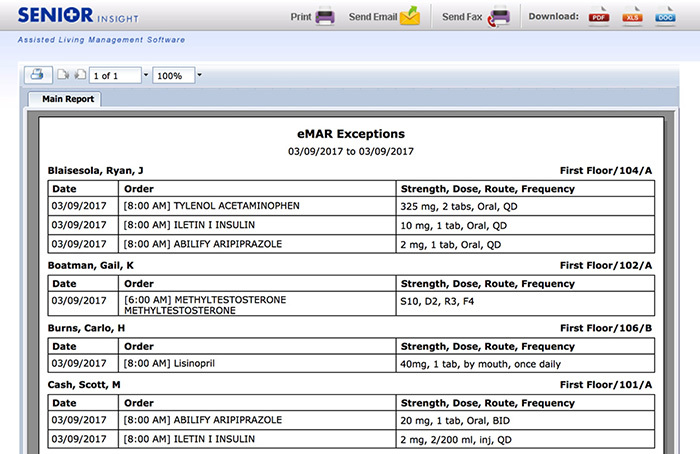 Senior Insight accommodates printed MARs or eMAR to facilitate communication with any physician and pharmacy. 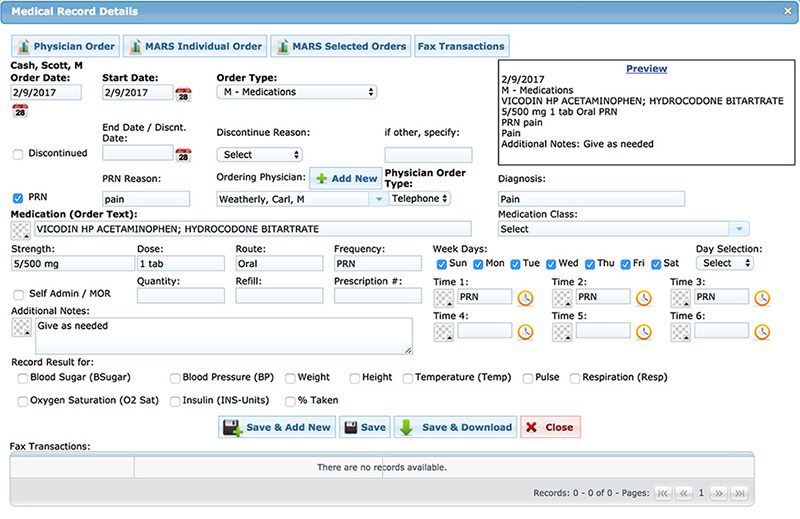 Take control of your medication administration process to reduce errors and improve quality. Let us demonstrate how we save you time and improve accuracy with a simple webinar. As provider's we will demonstrate from experience the ability to assist given any scenario you present. We focus on solving day-to-day problems and give you the tools to help each user succeed. 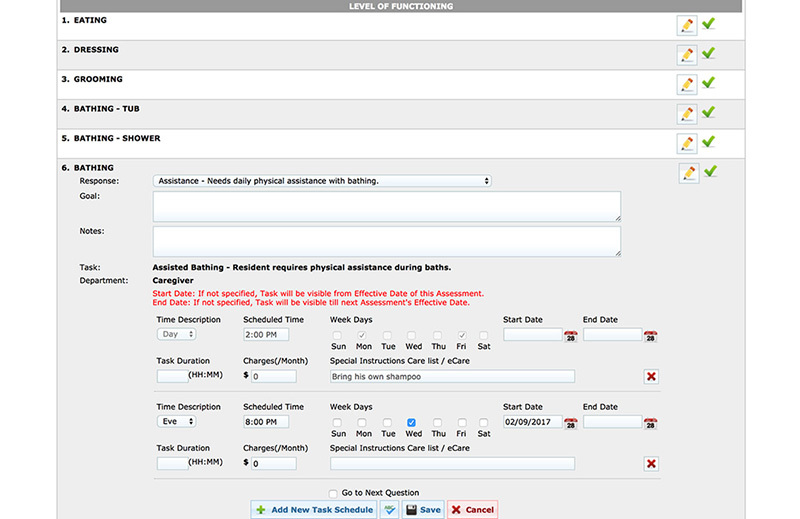 Modify a template, set-up your current assessment or access state forms. 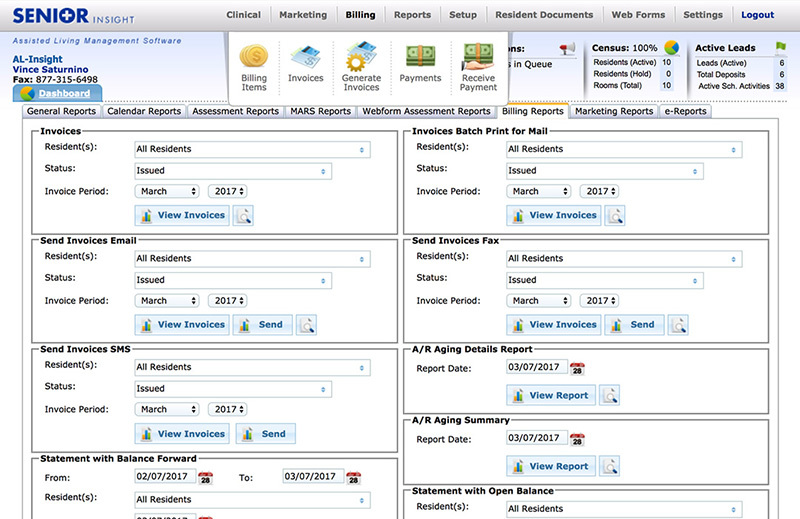 Senior Insight delivers the tools to support each provider. 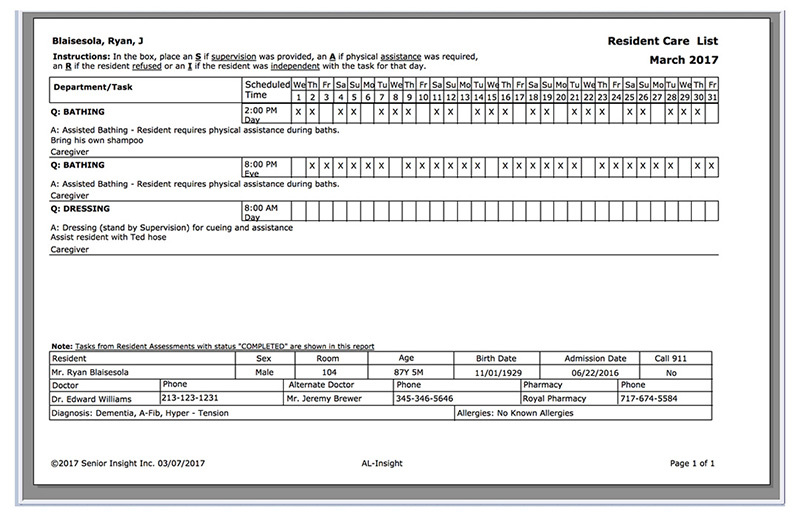 We understand Assessments organize how facilities provide services residents need. Senior Insight will guide you to streamline this process as well as meet all regulatory requirements. Let use share our examples and present tools to automate the assessment process for you with a simple webinar. 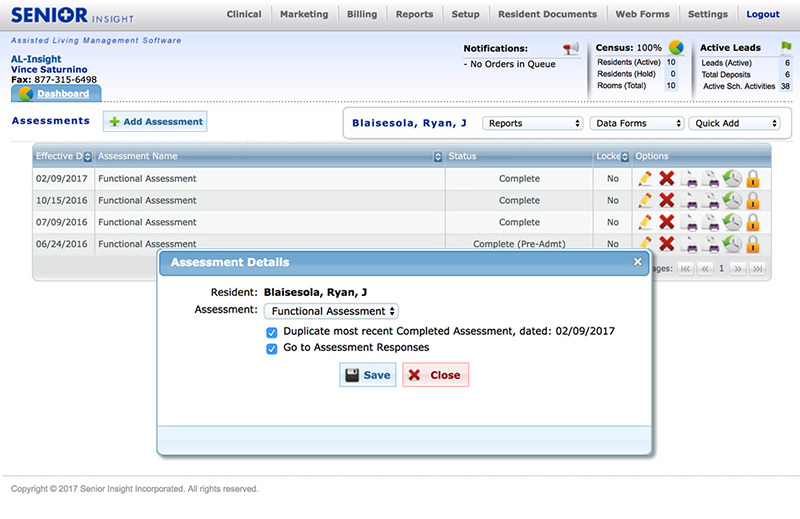 By using Senior Insight to remain current on assessments staff have access to updated service plan items and the ability to document at any time. 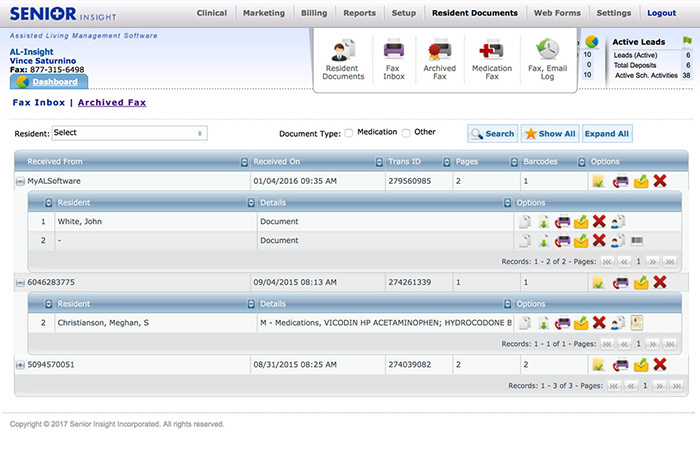 Capture services for Level of Care billing, enhance revenue or use the same documentation to show care delivered. ADL charting is a critical component that demonstrates the care you provide. 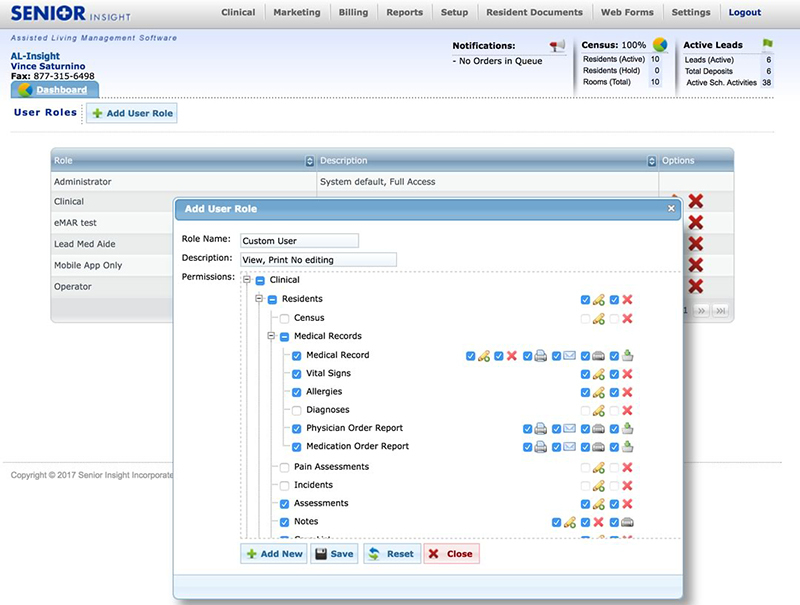 We will show you how we help providers using our solution. 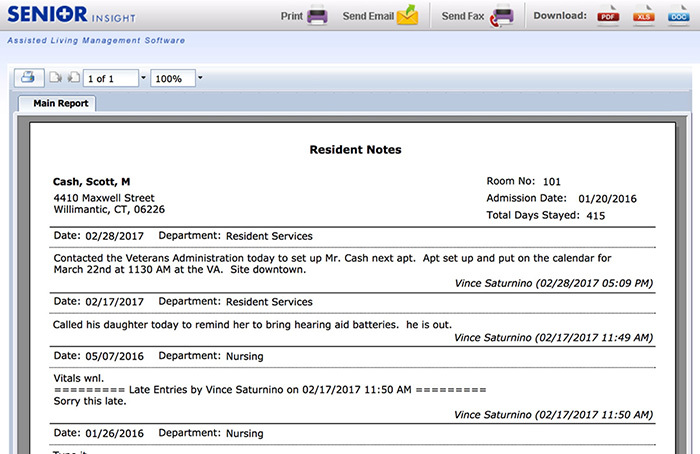 Join a webinar to view the tools we know can work for you, your staff and residents. Access from any location at any time. 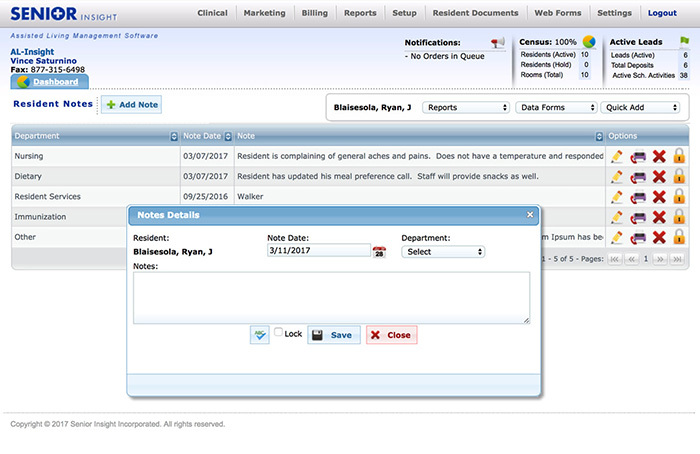 Organize and access resident notes and medical records in one location. Secure access to your community data with everything at your fingertips. 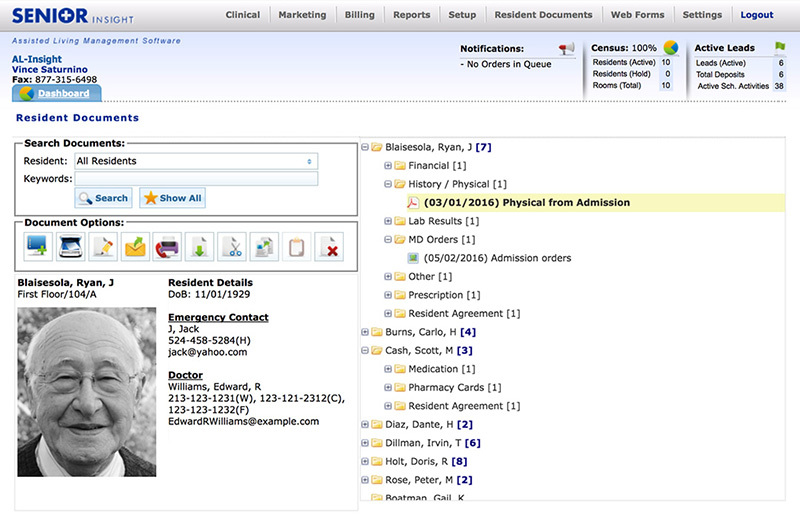 Senior Insight provides each user with customizable access to resident documentation. 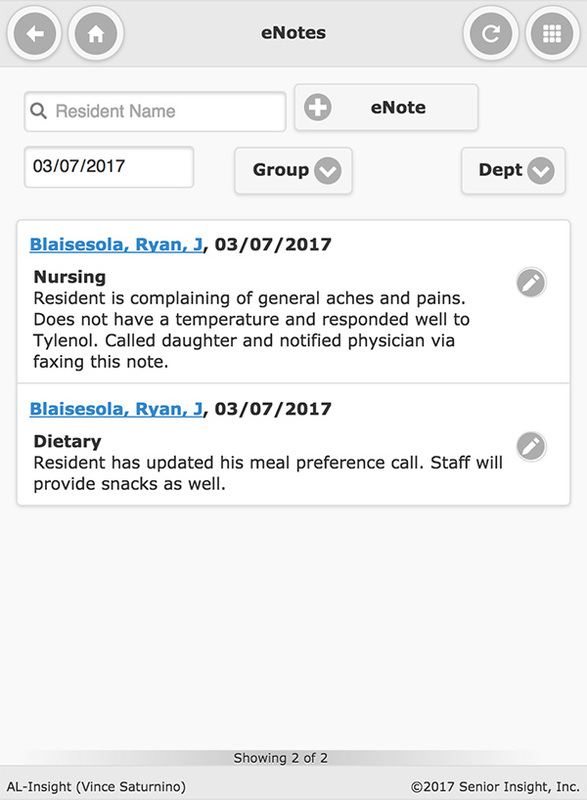 Log in at any internet connected device (computer, tablet, phone) to review resident specific information and follow-up with providers. 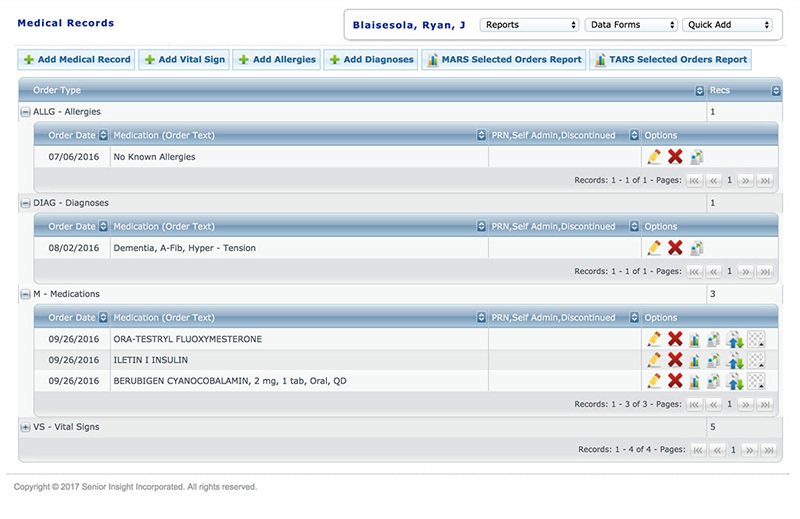 Need access to labs or a current list of medications? 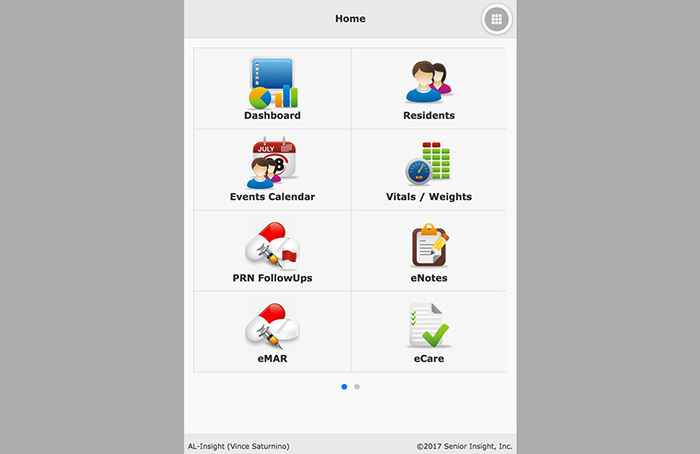 Use our mobile app to view all the information you need to help provide support to each and every resident. 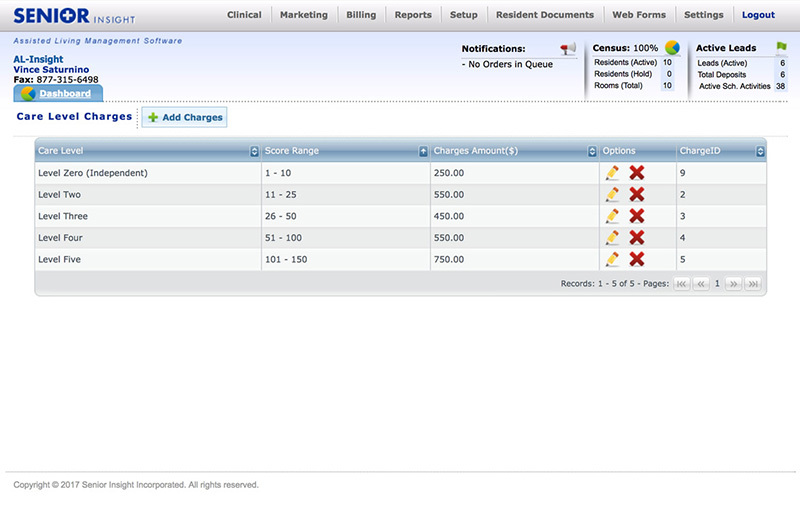 We make Level of Care billing simple. Stay current on Census changes and enhance revenue. 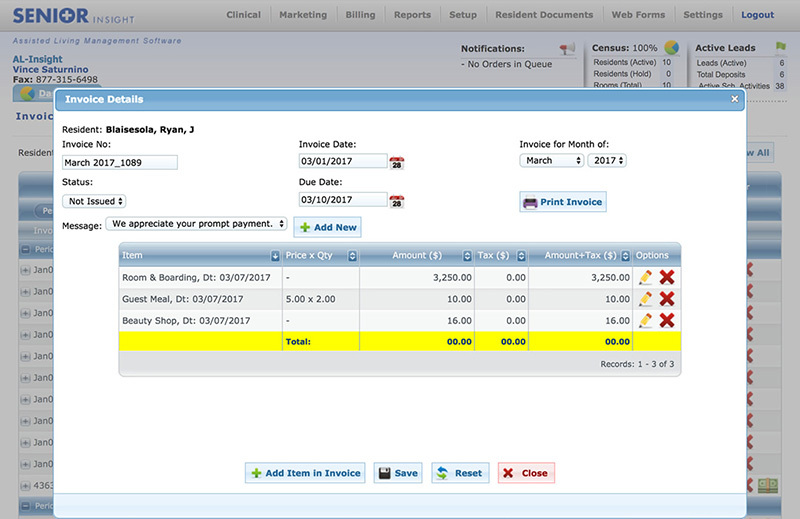 We interface with your accounting software including Quickbooks to streamline the process and manage your accounts receivable. We save you time with census management tools and automating the billing process. We capture level of care billing charges, room and board and easily enter ancillary services like guest meals, transportation or beauty shop services. 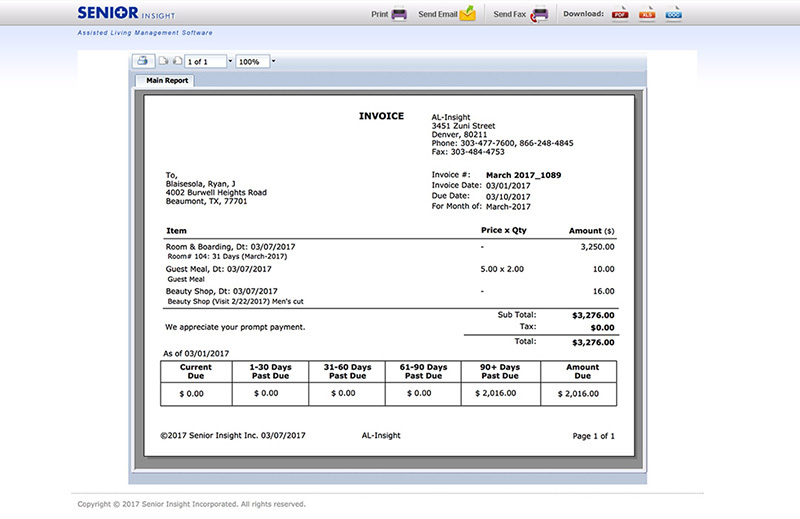 You can batch process all invoices and modify any bills for changes before printing, emailing or notifying customers via text. Going paperless is now easier than you think! 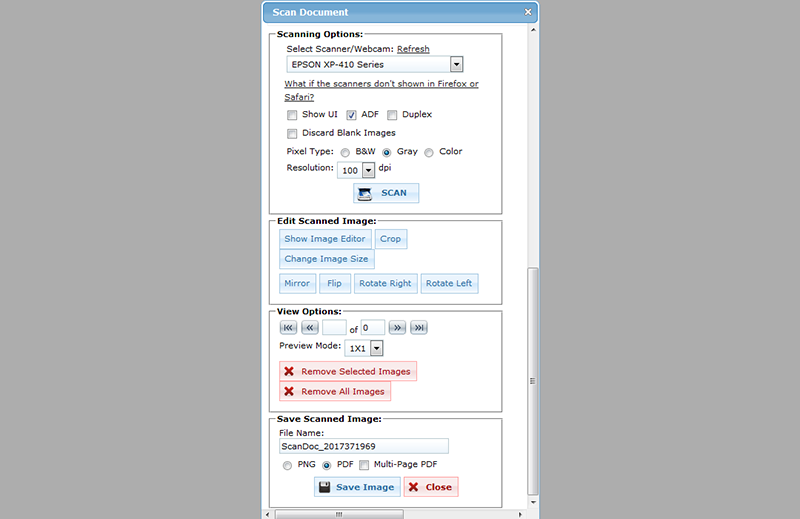 Secure access; search, share and print any document with your paper chart online. 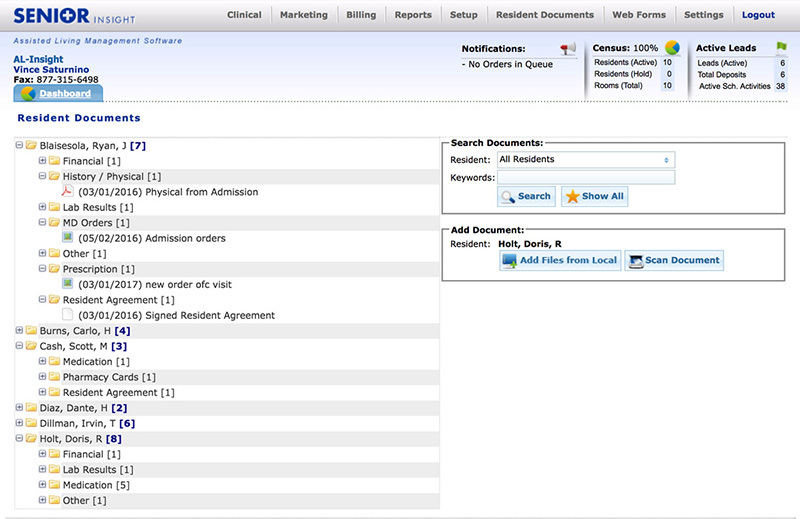 Looking for a lab result, prescription or a signed resident agreement? Store and find them quickly with our simple tools. 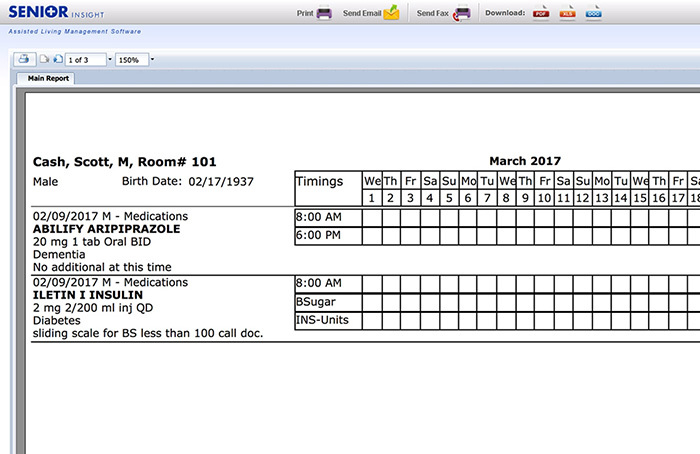 Regardless of your wide array of providers you need to communicate with we can help organize all your paper and forms. 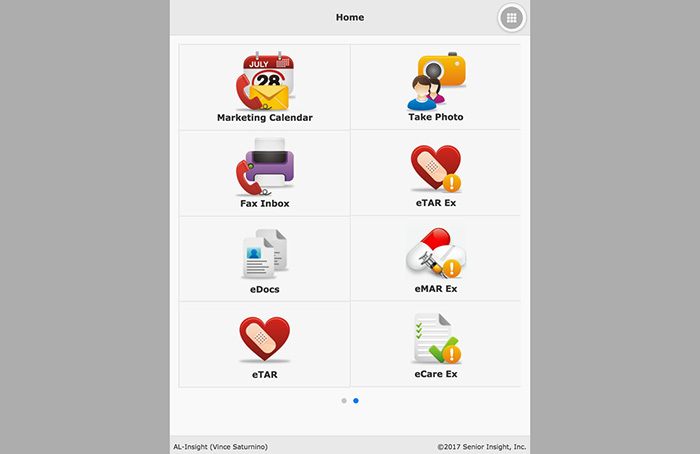 Receive faxes, scan documents or upload files from your computer directly into the application. 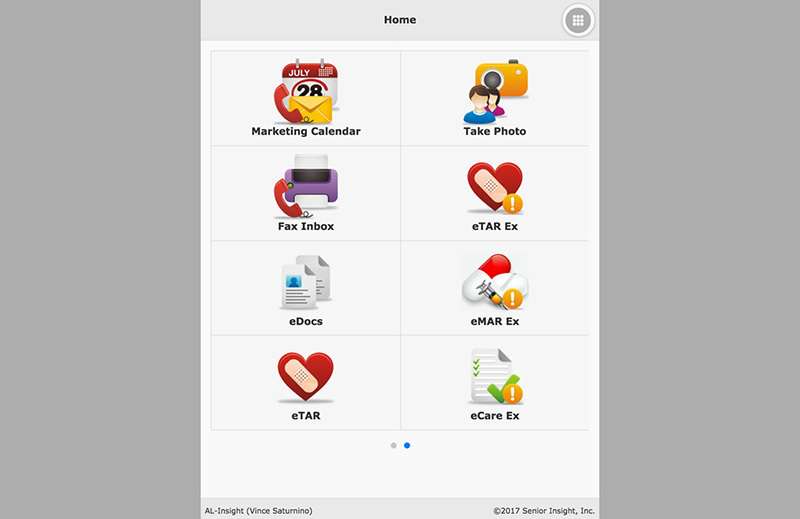 You can easily create and name folders, customize a template or just add documents by name. 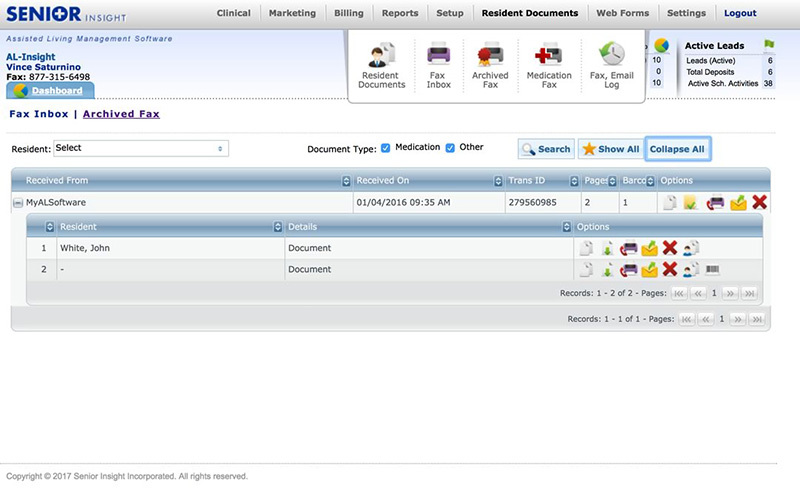 Our document management tools can be configured as best suits your needs. 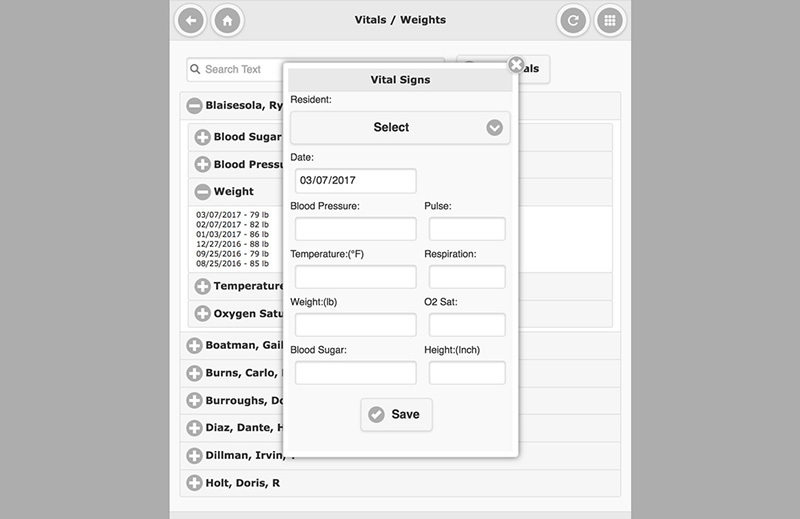 Record vitals and weights, notes, ADL care and medication administration from any connected device, phone or tablet. 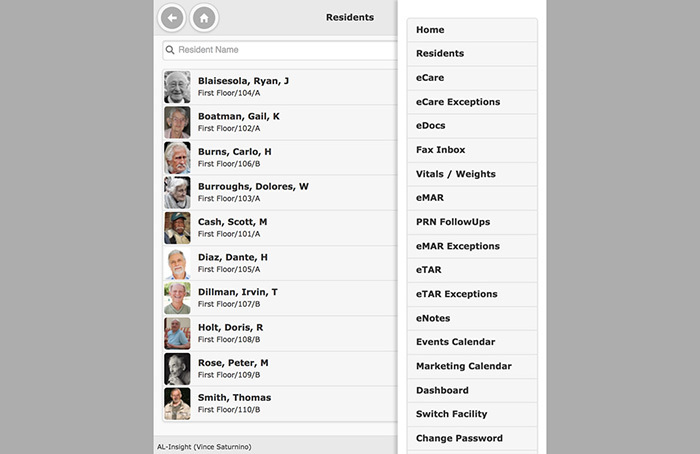 Our mobile application makes it easy for any user to access and document resident services. We have great success is supporting our users in making this transition. Our application is intuitive and responsive for all levels of experience. Time after time customers remark on how easily they can adopt the many time-saving features in our software application. Work at your pace and quickly find what works best for your organization. Need help managing the process of marketing and selling your community and services? We can help you organize the process, follow-up and build relationships. Pre-qualify your inquiries and never lose track again. Providers are increasingly aware of the importance of understanding as much information as possible when it comes to referrals and prospective residents. 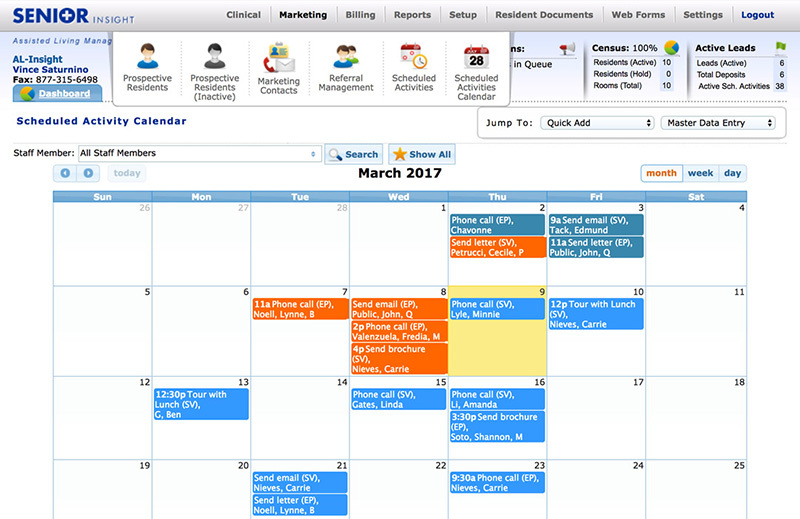 Like our clinical tools, our marketing platform is flexible and accessible from any connected device. 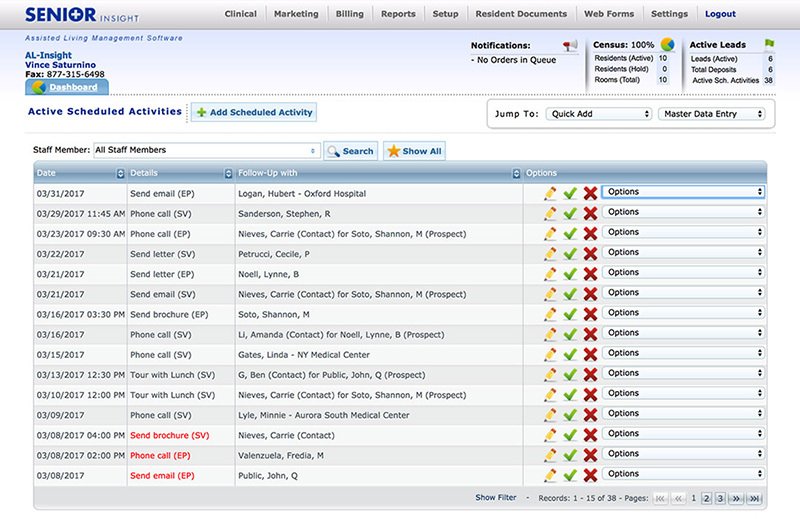 Manage all your relationships in one spot and find the best fit for your community. 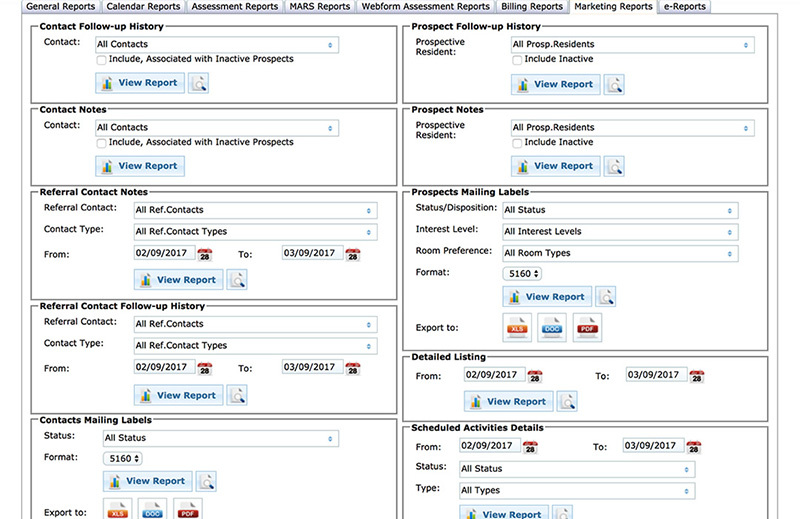 The data is available, the information is yours – we can show you what you need at a glance! Do you need to be confident staff is current on the systems in place? 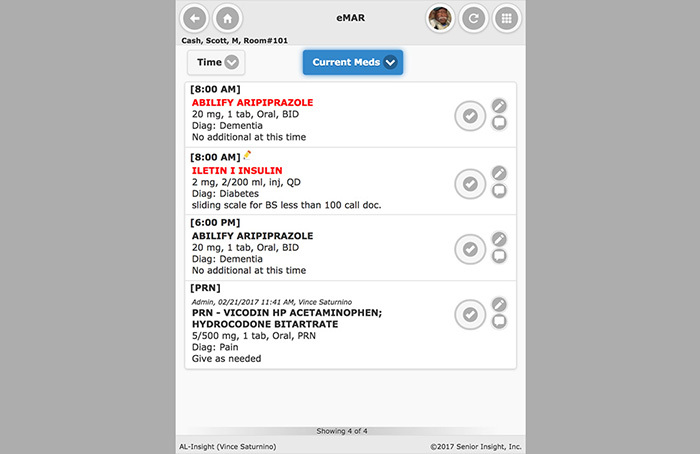 Our dashboard is simple to use with access from any connected device. Has the medication pass been delayed or are any assessments failing behind? We make it simple to monitor and provide support using our dashboard on both or web application and mobile platform. Efficient! One of the most useful time-saving tools available. With a few simple systems in place our users manage by exception. You can have the confidence scheduled work is completed, only the exceptions require your attention. 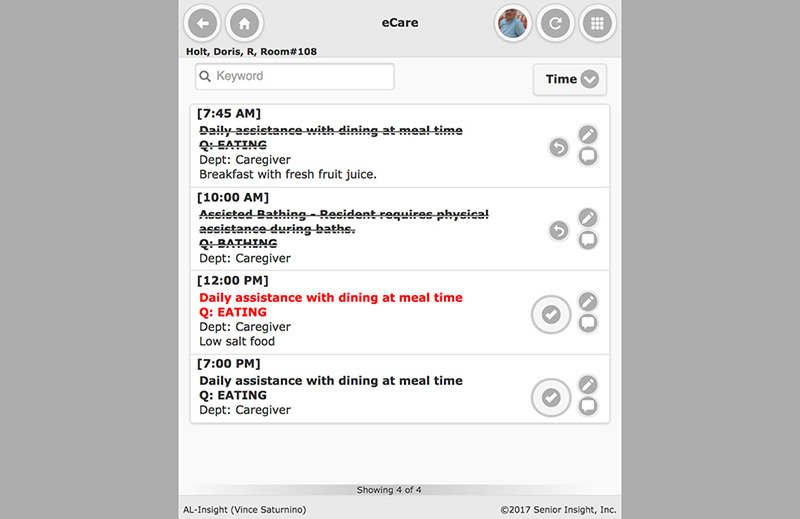 Using our eCare or eMar features? 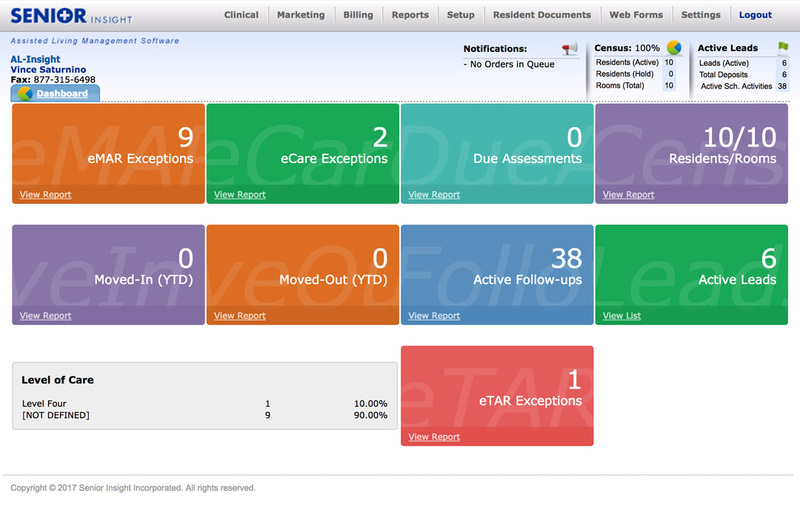 Access exception reporting in real time to monitor or follow-up and help ensure all services are provided timely. 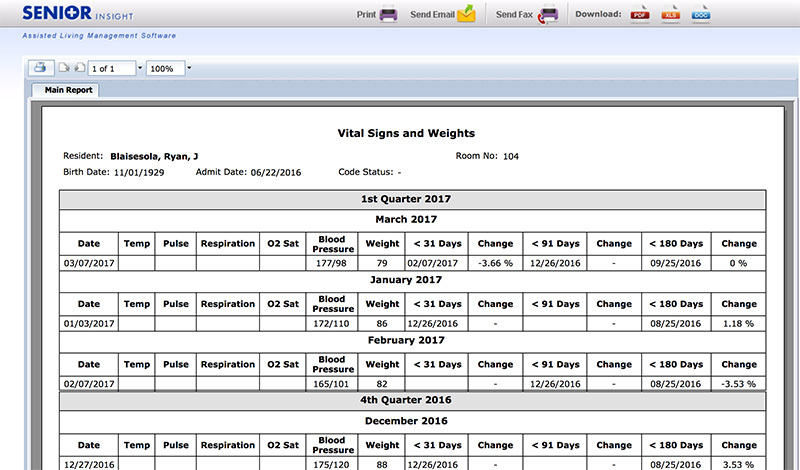 The documentation support tool is a great tool to help maintain regulatory compliance and support the goal of providing quality care. HIPAA compliance. Disaster recovery. Record retention. Customize user access. We have the experience that works for you. The number of users and access available it up to you. 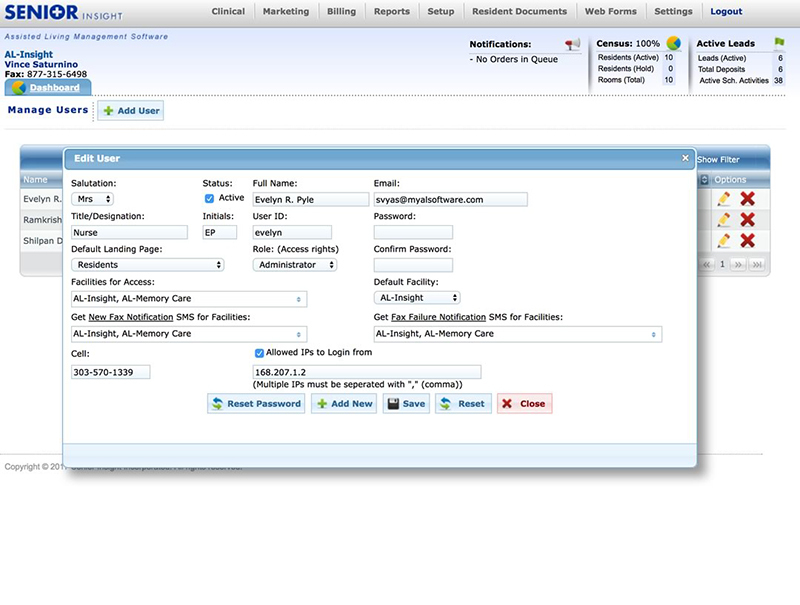 Each administrative user has full access to customize and configure each user. 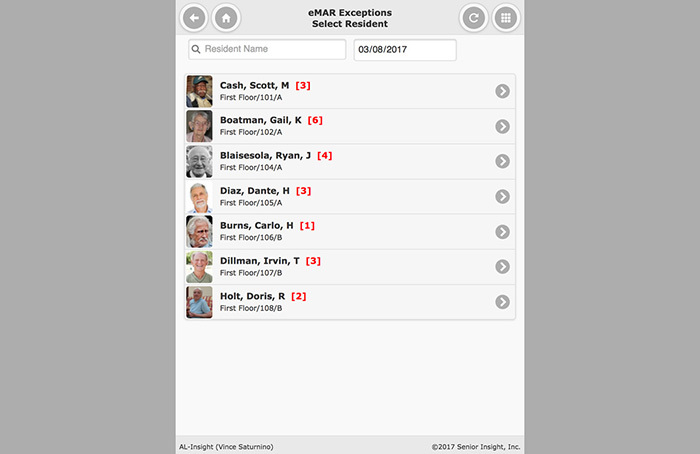 We can show you in a few steps how to add and modify users permissions, restrict access to certain features and locations. You are in control and each customer can configure access rights and user roles that best suit your community needs. Yes, it is that simple! Send a fax, receive a fax. Get notifications by text on your cell phone or email reminders. Our users don’t sit in offices, not to worry. Did a lab result you are waiting for just come in by fax? No problem, you can get an SMS text notification on your phone, log in to your mobile application and view the results. Do you need to follow-up further? Again, no problem, access the resident’s information right from your phone and call the physician. 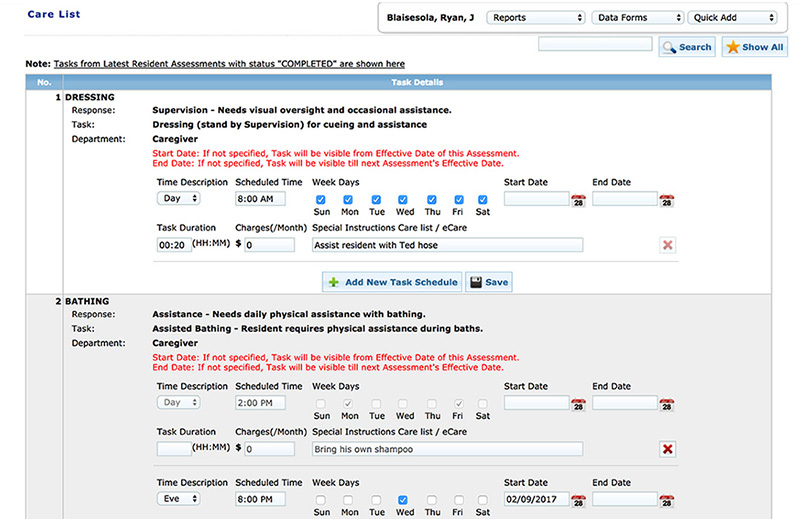 We save you time by giving you the tools to do your job in real time with all the information needed.